A lovely old Victorian house in the historic Almond Grove District of Los Gatos at 230 Tait Avenue is said to be haunted, according to its owner. The area is filled with homes which are more than 100 years old and I’ve often wondered how many of them are haunted. At Halloween most of them look exceedingly spooky! This house is in the middle of a zoning and use controversy in Los Gatos. The town does not permit Bed & Breakfasts (I think that’s a shame – it’s really almost ideal for that use) or short term rentals, but this house was being advertised as such for at least a couple of years – I noticed because links to one of my blog posts on my Live in Los Gatos blog was getting cited. If you have any additional information on it, please share here! 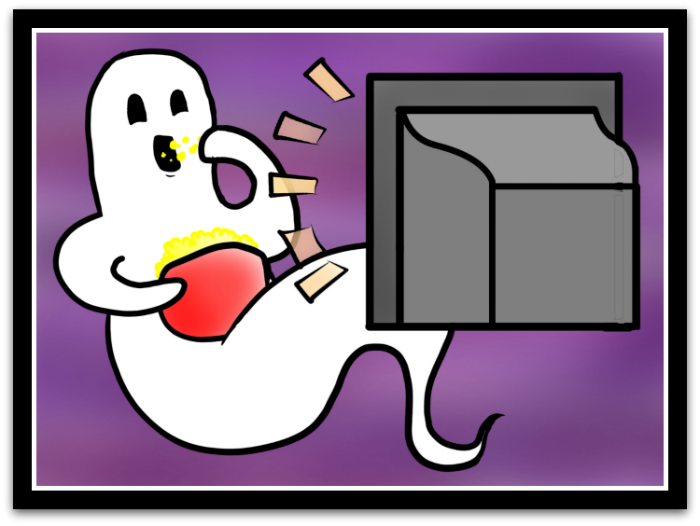 Ghostwatching’s YouTube Channel – worth a visit! A friend on Facebook shared with me this YouTube Channel by Ghostwatching and it’s really quite good! Below is one video, but if you visit the link you’ll see a wealth of these sorts of films! Who is this cool person who’s shared so many neat movies and clips with the ghost-and-paranormal obscessed public? Ghostwatching’s description of herself as “a Connoisseur of History the Victorian era and all things of a mysterious and spooky nature”. Looks like this is simply a labor of love and not a profit center (exactly like this site, the Haunted Real Estate Blog). Also looks like some of her content has been swiped and plagiarized at times – so if you do visit this cool site, please be respectful and don’t “pinch” anything! I received the email, below, and have permission to share it here (edited slightly for brevity and clarity). I suggested that she talk to the neighbors as they often have input. Got any ideas for her? Please leave a comment! My name is Susie and I am writing to ask about an experience we had at a rental property (in Indiana). We have three daughters and out youngest was 13 yrs when we moved into a two story rental home. Her room was a large room over the garage with steps down into it. During our time there the room was always cold (even in the summer). Ali (my daughter) had trouble sleeping and I would go lay in bed with her and I would become uncomfortable in the room and somewhat anxious and inevitably take her to my room. Ali finally talked to me after we had been there two or three years that there were two children – a girl in a blue smock dress and a boy in older style clothes) that were in her room. She described them as angry at times and they would pick on her. Ali would sleep walk (hasn’t since we moved out). She said they pushed her down in the bed-she said she knew they were mad at her because, she had been gone two days. They would get mad at her when she got migraines (they thought she was ignoring them). The radio would turn on in her bathroom when she showered. One day Ali was very upset about something and went into her room and a music box in the window that needed wound up turned on, on its own, and they whispered “it’s okay”. As we got closer to moving I would verbally tell them to leave her alone and Ali told me they didn’t like me. After we moved out – they literally broke things – it was winter and the land lord blamed us for leaving the house a mess….It was spotless when we left. I saw pictures of what the landlord claims we did. The toilet in Ali’s bathroom had black water in it that had frozen and cracked the bowl. The oven had been turned on by the landlord to warm the house and all the grease on the exterior turned black. There was a huge water stain on the wood floor that could not be removed. We ended up owing $2000.00 to the landlord for repairs of things we did not do. I did leave a necklace of Ali’s behind hoping they would not follow her. So far so good. It has been over two years. I wondered how to find out about the land the house is on but I don’t know where to start. Forgive the rumor-mongering, but emails about a ghost in the prime Golden Triangle neighborhood of Saratoga, California, are finding their way to my inbox. No, I won’t give you the address. And no, the house is not yet on the market. But buyers beware, the owner of this home died quite awhile ago, and if it goes past 3 years, the sellers will not have to volunteer that a death occured on the property. But if you ask, they’ll have to answer truthfully. It wouldn’t hurt to knock on the neighbors’ doors and ask about the home before deciding to purchase it. A lot of buyers do that for any home.